Like pretty much every other fan in the world, the late October announcement that Disney was taking over Lucasfilm, and that it would begin working on Episode VII, came as a bit of a surprise to me. With George Lucas' seemingly unflagging dedication to endless tinkering with his masterwork, I'd always figured the Star Wars franchise wouldn't be handed over to anyone else until they could pull the figurative lightsaber out of his cold, dead hands. But then the initial shock wore off, and I've since spent the past few months chewing over what it all means... reading and listening to the opinions of others (check out the SF Signal Podcast - episode 163 for a really thoughtful and entertaining panel discussion on the subject), watching the movies and remembering the expanded universe stories I've read over the years, and generally reflecting on the presence and impact of both Star Wars and Disney in pop culture over the past few decades. It's a big deal, and there aren't necessarily simple answers for the questions that arise from the merger/takeover/marriage/whatever-you-want-to-call-it of these two mighty empires. The first question is the broadest: is this union a good idea? On one hand, I'd be tempted to play the cynic and say "Who cares? It's a done deal anyway." While that's true, I think it is fair to discuss whether Lucas made the right decision in handing things over to Disney, as opposed to another company, or just hanging onto things himself for a while longer. I think I'd agree with a lot of people that the time has certainly come for Lucas to hand over the reins. While I didn't hate the prequel films, I don't think they were Lucas' best work, and I've never supported his strange desire to continuously go back and tinker with the originals. Sure, touching-up the colours and re-releasing the Trilogy in theatres to attract a new generation of fans and, yes, make more money, is a good idea. I can even get behind maybe adding the odd extra shot here and there, like the tour of celebrations around the galaxy at the end of Return of the Jedi. But I got a bit concerned with some of the substitutions that probably didn't need to happen, like removing the wolfman from the cantina scene (Was he a bit cheezy? Yes. But he worked anyhow.). And when he started making serious changes, like having Greedo shoot first, which fundamentally altered Han's character, then I had a big problem. That's the point where I began to think it's time to start talking about bringing in some new blood, not just in the expanded universe, but in terms of how the existing and future core material will be dealt with. Looking at ambition and money, it would seem that a merger with a bigger entity was in Lucasfilm's interests. A couple of years ago, I was watching a panel at a con where a Hollywood insider was talking about the supposed efforts by Lucas to get the long-discussed live action Star Wars TV series into production. He'd mentioned that, at the time, 20th Century Fox had allegedly balked when Lucas pitched the series - more specifically, balked at the $10 million price tag for each of the 20 episodes in the single season - and that the idea had to be put on hold until Lucas could find the money from other sources. So, in that respect, Disney, with its deep pockets that draw from a vast, diverse empire, makes a lot of sense to have in a sugardaddy role. From now on, as long as The Mouse thinks it'll sell, there's no Star Wars film, TV, or product dream that can't be realized. And there's certainly a pre-existing relationship between the two organizations. For decades, Disney's licensed the rights to the Star Wars name for its Star Tours attraction, and all of the associated merchandise, including the Jedi Mickey pictured above, that my wife and I bought after taking the ride while at Disneyland on our honeymoon in 2005. It wouldn't make a lot of sense to have a long-standing business relationship like this in place, and then not sell to Disney. The two organizations also have a lesser connection through Pixar, which was originally a Lucas creation and is now owned by Disney. There's also the Muppet connection, with Disney currently owning the property, and Lucasfilm having drawn from its talents to produce Yoda and various other characters during the making of the original trilogy (never mind the hilarious episode of the old Muppet Show where Mark Hamill hosted and the Star Wars gang made an appearance). And yet, I do have some reservations about Disney now having control over Star Wars. Disney doesn't always treat its acquired properties as well as it should. Witness the recent debacle with John Carter of Mars. The Pixar division produced a solid, entertaining film that was exactly what it was supposed to be. The marketing of the film, however, was a disaster, and the movie suffered at the box office in the US in its opening weeks, causing some to declare it a failure. Now, there's a lot of rumour about behind-the-scenes politics that caused the problem, but at the end of the day, Disney is a huge entertainment company with a track record of success in marketing big films, and to blow the ad campaign so seriously should make anyone think twice about its commitment to handling acquired properties. Really, do you think Disney would have botched the job that badly if it was marketing a new animated feature? Or the re-release of one of its classics? I was in the local Disney store before Christmas with my wife, and there wasn't even any John Carter merchandise available for sale. Plenty of Avengers stuff, but nothing Martian. It's like they're banishing this flick to the back of the vault - maybe not in the maximum security wing where Song of the South is under lockdown, but buried deep none-the-less. Then there's the strange fate of another of acquired property: the afore-mentioned Muppets. In the years after Jim Henson sold Kermit and co to The Mouse, there were a string of smaller Muppet productions, like their take on A Christmas Carol, or Muppets from Space, but again, the marketing always seemed half-hearted, like Disney was producing the movies out of some sort of obligation, or attempt to make back the money it shelled-out in buying the rights, but not as though it really, really wanted to be making them. This was especially true in the last decade, where there really wasn't much of a Muppet presence in kid or general pop culture at all, aside from a new Christmas special a few years ago, that, again, really wasn't marketed well (certainly not made into a classic, the way the old special with the late John Denver was, where CD's. and now downloadable tracks, of the music continue to be available). You may point out that Jason Segel's The Muppets in 2011 was a success and points to a renewed commitment by The Mouse to The Frog, and that another movie is currently in the works. Certainly true, but let's take a look at how they're treating the Muppets in another wing of their business. When my wife and I were at Disneyland in 2005, there was a Muppet Theater attraction in the California section of the park, where audiences could watch the Muppets putting on one of their shows. Go to the park now, and you won't find it. I asked a friend who's a Disney expert to double-check on one of his semi-annual pilgrimages down to the park near the end of 2012, and there's no trace of the attraction. It's been demolished or reformatted into a different brand - erased in the way the classic 20,000 Leagues under the Sea ride has been. Let's not forget, the Muppets were not a one-hit wonder; they were a serious pop culture force in the late 70s and the 80s, with enough lasting cache to make the 2011 movie a hit, and if they can be on rocky footing with Disney, you never know about other properties, even ones as big as Star Wars. It wouldn't take much for Disney to quietly retire Star Wars if it hits a low patch in a couple of years, the way it did in the 90s prior to Lucas' re-release of the originals. So I can't bring myself to wholeheartedly trust Disney with Star Wars over the long term. That said, I can't argue with the fact that when Disney puts its mind to supporting a product, that product gets the best of everything money can buy. Something with the pop-cultural importance of Star Wars needs that kind of support. It's pretty obvious that Diseny's going to go to great lengths, further even than they went for the creation of the sequel to the cult classic Tron, in ensuring that the new Star Wars installment has everything it needs to succeed. So, at the end of the day, I'm cautiously coming down on the side of supporting Disney's takeover of Lucasfilm. The next question, of course, is, with Disney immediately announcing it would begin development of Episode VII, what will it look like? A block of fans was quick to jump up and insist that a reboot was needed, but I'm not in that camp. As much as the Ron Moore and David Eick's fresh look at Battlestar Galactica was the right move, and as successful as JJ Abrams' Star Trek was at the box office (though not successful at being a real Star Trek movie - it was fun, but too dumb for Trek... Star Wars dressed up in Trek's clothes), Star Wars doesn't need that treatment. Its universe is big enough, and there are enough stories to tell, and there's enough room for imagination and different ways of looking at cultures and technology, and the timeline (meaning that of the various characters we've already met, and the overall history of events that's constantly referenced) is long enough, that the story doesn't need to be retold. The expanded universe, with the legion of writers who have incorporated their visions through books, comics, and video games, is proof that the same set of instruments can be used to create individual pieces of music that are unique, but still capable of fitting into the overall symphony. That said, arguing about to reboot or not to reboot is also pointless, since Episode VII signifies clearly that it's going to be a new story that's part of the continuing legend, which means no reboot. Other fans have pointed to the expanded universe (with many naming Timothy Zahn's Heir to the Empire series specifically as the right choice) as the place to draw a story (or stories) for the new installment. To be sure, there's a lot of good material to choose from in the expanded universe - Zahn's work included (I hope I still have the original hardcovers kicking around somewhere!) - that builds on the original and prequel trilogies, using known characters and introducing new ones. Lucas, on the other hand, has apparently made it known that he doesn't really consider the expanded universe to be canon, which means no ties to anything other than what we've seen in the movies (regardless of how much money the expanded universe has made him). I have to wonder if that includes both of the animated Clone Wars series? Or the Droids or Ewoks cartoons? What about the two Ewok TV movies? Is there no hope for Wilford Brimley's character to have his backstory told? What about the holiday special? Won't we hear about the adventures of a young Ackmena (Bea Arthur) or Saun Dann (Art Carney)? But I digress. As much as I've enjoyed some of the expanded universe material over the years, I have to agree with one of the panelists from the afore-mentioned episode of the SF Signal Podcast, who noted that the expanded universe - with its detailed continuity, sheer size, countless ranks of characters, and, let's face it, total irrelevance to the 95% of people in the theatre audience who would pay to buy a ticket to a new Star Wars movie but who have never picked up (and would probably never consider picking up) anything from the expanded universe - is probably something best ignored for the sake of writing a new installment in the movie franchise. Give the new writers/director/producers the freedom to write what they want, as long as it maintains the feel of the six movies that have been produced to date, and as long as it's done well. Part and parcel of this debate is whether to bring back the characters from the original trilogy. Lots of people would love to see Han, Leia, Luke and the others back in the saddle again. I wouldn't. All of the actors are too old to reprise their roles if the story were to take place soon after 'Jedi (and there's nothing to say that it would or should, but again, let's give the writers the freedom to explore that option if they want to), which would mean other actors would have to step into the roles, and no matter how good those other actors were, we'd spend half the movie, and countless hours of debate afterward, comparing their performances to the original troupe. I don't want that kind of distraction. And yes, the new movie could take place many years after 'Jedi, which would allow the geriatric squad of Ford, Fisher and Hamill to believably reprise their roles, but I don't think that would work either. You'd still need "the next generation" of characters (because the average audience that's paying to watch a Star Wars flick is definitely not going to approve of a Cocoon approach, with a film entirely starring and about senior citizens), and the presence of the old cast would be constantly overshadowing the new characters. The entire film would be an effort to work out from under the presence of the old farts, er, heroes. If we're going to have to introduce newer, younger characters anyway, let's give them the entire movie. Have it take place far enough down the road, or on a distant enough frontier, that the old characters are either dead, or far, far away. That's one of the things that actually worked about the prequel series - the opportunity to meet new characters without the baggage of the ones we already knew. Sure, Obi Wan and Yoda were there (Vader doesn't count, because the various versions of Anakin were so different from the Darth Vader of the original series that we weren't really talking about the same character, except in a technical sense), but this was our chance to really get to know Obi Wan as a person, and the movies were successful in that regard. Yoda's age was the excuse for his presence, and the movies weren't really about him. I guess you could argue that the same touch could be used for Luke, Leia, Han, Lando, Chewie, or anyone else who lived through that final run-in with the Emperor and his gang, but I wouldn't want to see them in anything other than the briefest cameo. Forget about the founding of a new Jedi temple - let's see how it's functioning in a hundred or 200 years. Mopping-up the remains of the Imperial forces (a-la Zahn's work) would be interesting, but it would run afoul of the need for a heavy presence of the old characters, so how about something set in the future, where we see a galaxy that hasn't been united under a New Republic, but a New Republic that has to deal with a collection of diverse, independent states with no interest in being part of yet another hegemony where their interests might be lost in the shuffle for a third time (cause as bad as the Empire was, the prequels were proof that life wasn't a picnic for everyone in the Old Republic). How about a story about what appears to be the inevitable outcome of a civil war - yet more civil war, as various rebelling factions with entrenched ideologies of freedom - and plenty of combat experience - fight amongst themselves for dominance of the new order? Or what about an invasion from a powerful group from another galaxy? All of these are ideas that have probably been covered in the expanded universe, but the ideas, if not the expanded universe specifics, are worth the consideration of the new movie's writers, and none should have to carry the baggage of the old characters or actors. How about Jon Favreau? The man's done a fantastic job with the two Iron Man movies. He's got an excellent head for action and comedy, but knows the importance of building character. I'd also like to see what a Star Wars movie would be like with Ron Moore at the helm. While he didn't direct many episodes of BSG, as producer and one of the writers, he certainly showed a talent for putting together a story that was, at times, a work of genius. He also gets bonus points for his work on some of the episodes of the various Star Trek franchises. It would also be interesting to see Guillermo del Toro take a crack at this flick, with serious action cred for the Hellboy movies and an understanding of character with Pan's Labyrinth. If I could choose a writer for Episode VII, I'd probably go with J Michael Straczynski. It'd be tempting to go with Joss Whedon, but while Whedon can write snappy dialogue and gave us some great action in Firefly and Serenity, JMS is no slouch at dialogue either, and is far more consistent at writing far more intelligent and exciting scripts, as proven by Babylon 5. 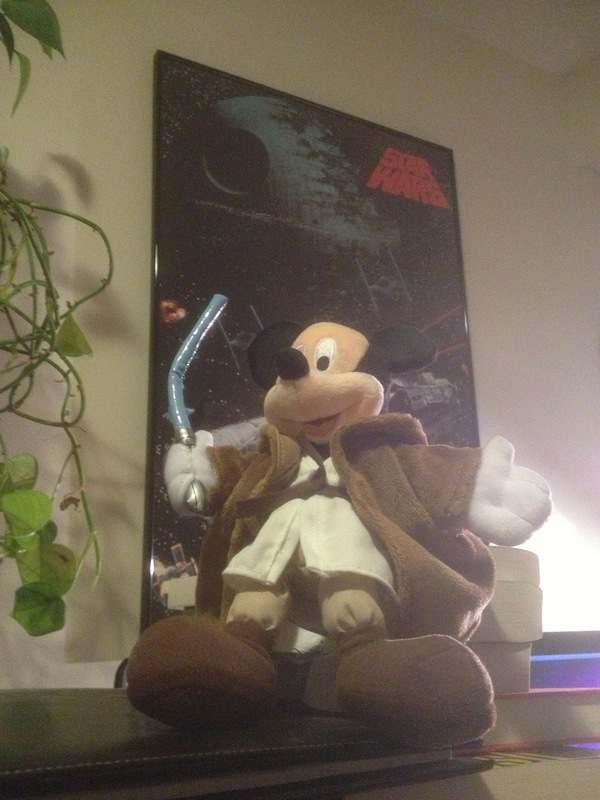 In the end though, I don't care who manages this project, whether you want to think of this person as being a new hope for the franchise, or The Mouse's dark enforcer, and it doesn't matter whether that person draws from the expanded universe or not, as long as they have skill, daring, and imagination, and treat the material with the respect it deserves.